Back in September we published an article “Grand Theft Auto – UK and EU Bank Depositor Bail-In Regime Implemented” in which we described how banks throughout the EU would simply steal your deposits if any of them failed. On the first day of 2016 all banks located within the EU follow the ‘Anglosphere’ nations of Britain, America, Australia, New Zealand and Canada into an agreement, where the next bank failure and bail-in could cost depositors all their money. Think it won’t happen. Six years after the last financial calamity caused by reckless bankers aided by negligent politicians in late 2014, one in five European banks failed basic stress tests that would see bankruptcy on the first hint of trouble. What did they need to get past that stress test? Twenty four thousand million euros. One should not forget that the Bank of Cyprus passed its stress test with flying colours just before it crashed and burned. That bail-out and bail-in came in at €23 billion to the taxpayer but it also took 47.5% of depositors money over €100k as well. A report published by the Adam Smith Institute, a free market think-tank, calls for the BoE annual stress tests to be scrapped, arguing they are “worse than useless” because they disguise weakness in the UK banking system. 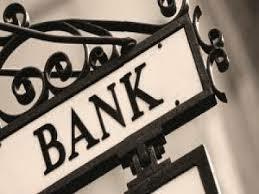 The BoE has said that banks will be required to meet a minimum 3 per cent leverage ratio to pass 2015 tests. If it had done so in 2014’s tests, half the banks would have failed: Lloyds Banking Group, Royal Bank of Scotland, the Co-op Bank and Santander UK. An article in right-wing The Telegraph, opined – “Punishing the banking industry punishes the UK as a whole” where it postulates that in 2014 the banking industry contributed over £30bn to the treasury. What this article fails to say is that half of that tax paid was employee taxation, and only £1.6bn paid as corporation tax …. for the entire industry. Don’t forget that banks are still paying billions in fines, used to offset even more tax contributions. Five of the biggest banking corporations in the world paid no tax on its UK operations, whilst many others paid very little, their contribution to an austerity ridden nation caused by their malicious and egregious abuses being next to nothing. Since our article barely four months ago, the outlook for banking has got a lot worse and more risky. Banks have returned to the same markets that caused the crash; interest only mortgages, zero percent credit cards and what they now term “credit impaired products” or sub-prime to you and me. Consumer credit reached pre-crisis levels last summer and shows no sign of abating. Mortgage providers are engaged in a ‘rate-war’ with nearly 200 providers requiring just 5% deposits. In 2008, derivatives exposure bankrupted Lehman Brothers in a $600 billion bankruptcy case that clocked in as the largest bankruptcy filing since the beginning of time. What was it that toppled the almighty Lehman Brothers – the effects of contagion. As theeconomiccollapseblog reports There are now five “too big to fail” banks in the United States that each have exposure to derivatives contracts that is in excess of 30 trillion dollars and overall, the biggest U.S. banks collectively have more than 247 trillion dollars of exposure to derivatives contracts. Globally, the notional value of all outstanding derivatives contracts is a staggering 552.9 trillion dollars according to the Bank for International Settlements. All of these banks have offices in the UK. The BBC – The UK faces a “cocktail” of serious threats from a slowing global economy as 2016 begins, Chancellor George Osborne has warned. Speaking in Cardiff, Mr Osborne said this year is likely to be one of the toughest since the financial crisis. He told business leaders that far from “mission accomplished” on the economy, “2016 is the year of mission critical”. This is the same George Osborne who boasted Britain’s economic miracle due to his stewardship that we now all realise was built on nothing more than – a mountain of debt with a housing market completely supported by government interventions to stop an impending crash. And when (not if, as no bubble in history has ever done anything except deflate) that happens, who will bail-out the banks? George Osborne saw to that one by reducing the government guarantee on bank deposits from £85,000 to £75,000 just six months ago then became one of the main architects of the new bail-in regime with the Americans to ensure depositors are on the hook for all this mismanagement and malfeasance if anything goes wrong. And how wrong do the ‘experts’ get it? From ThisIsMoney – Britain’s financial website of the year, predicted – “However, as we approach 2016 with much of the major monetary policies on a relatively stable path, there is a feeling that the unpredictability of 2015 may ease in 2016.” What actually happened was that more than £85billion has been wiped off the value of Britain’s biggest firms in the worst ever recorded start in history to the year for the UK stock market. The FTSE had already posted a very poor year end performance in 2015. Finally, National Economic Forum and neweconmics.org have confirmed through their Financial System Reliance Index that the British banking system is the least resilient and therefore most risky banking system in the G7. “According to the latest available data (2012), the NEF Financial Resilience Index gives the UK a resilience rating of just 27, lagging behind the US (56), Canada (62), Italy (63), France (66), Japan (71) and Germany (73). 2015 also saw the loss of 100,000 banking industry jobs with many more to come as a wave of layoffs continues with no sign of abating. This is the equivalent to 10% of the combined staff of the 11 big European and US banks that announced cuts. If anything happens in the banking sector – Britain will be one of the first to feel its effects and your hard-earned, tax paid savings will be used to save them this time.